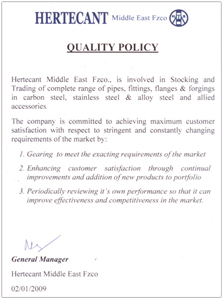 We at Hertecant,strive for customer satisfaction through attainment of quality parameters. 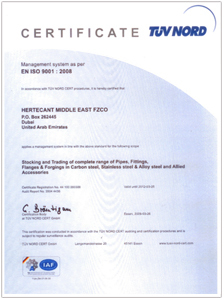 Our long standing experience in this industry enables us to supply the best quality products, no matter what the application. 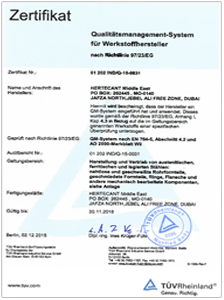 Our list of certifications for our production facilities, will give the customer an idea of what kind of quality we look to achieve.